Join 25,000 people from all over Israel and around the world for THE experience you will not want to miss! We will begin by marching towards Jerusalem from Begin's Park to ‘khirbat Sea’aim by way of a 12km route for those who are willing to push their boundaries; a medium route (5.5 km) and a 1.5km route that is also wheelchair accessible. Optional overnight: Participants will enjoy a communal meal and camp out under the stars in the JNF forest reserve park of Khirbat Sea’adim, overlooking the hills of Jerusalem. 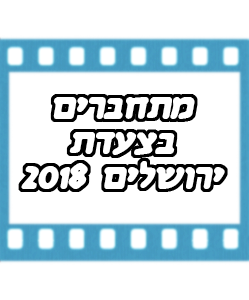 There will be an abundance of activities in the campground where we will be staying overnight (for those who choose to do so) with many different stages boasting music reflective of the diversity that exists in Israel. Transport will be available to return participants to Jerusalem hotels if needed. For full route details please scroll down. We will march within Jerusalem where the long route will start from Khirbat Sea’adim through nachal refaim to the Malcha station (18km). There will join them the marchers who chose the medium route (8km) who strated their march in Gilo – together they will march along ‘park ha mesial hayeshana’ towards the ‘mitcham hatachana (the first train station). At that point, those who chose the short march (4km) that started to walk in Armon Hanatziv will join them. All together everyone will march along Jabotinski, will pass by Beit Hanasi (The President’s house). The march leads to a communal celebration in Gan Sacher park, in the shadow of Israel’s Knesset and Supreme Court, where there will be activities, music and a big ‘happening’. As participants travel joyously through the streets of the capital, they will be able to stop at sukkot along the route, where they can learn from one another through story-telling, dance, song, and more. Each sukkah will provide a unique opportunity for engagement and dialogue with representatives of every sector of Israeli society, produced by the many partner organizations in this unique initiative. In the afternoon, the traditional march in the city center will take place. Participants can choose to take part in one or both days of the march. Both days include long, medium, or short march options (all short routes are wheelchair accessible). 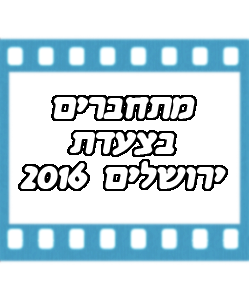 First day – NIS 25 per person (includes two meals) Childs up to 12Y - FOC. Second day – FOC. The government subsidizes participation. This year, in collaboration with a Wexner Foundation initiative, the Jerusalem Municipality and "Meetchabrim" are inviting Jewish groups and guests from abroad to participate with us in this community-wide celebration. English and Hebrew speaking facilitators will create opportunities for meaningful dialogue and interaction between Israelis and English speaking friends from abroad. contact Irit Mozes at 053-3463818 Irit.mozes@gmail.com. We look forward to seeing you this Sukkot on October 9 and 10, 2017 in Jerusalem!